A Follow Spot: It's Sticky Time Again! 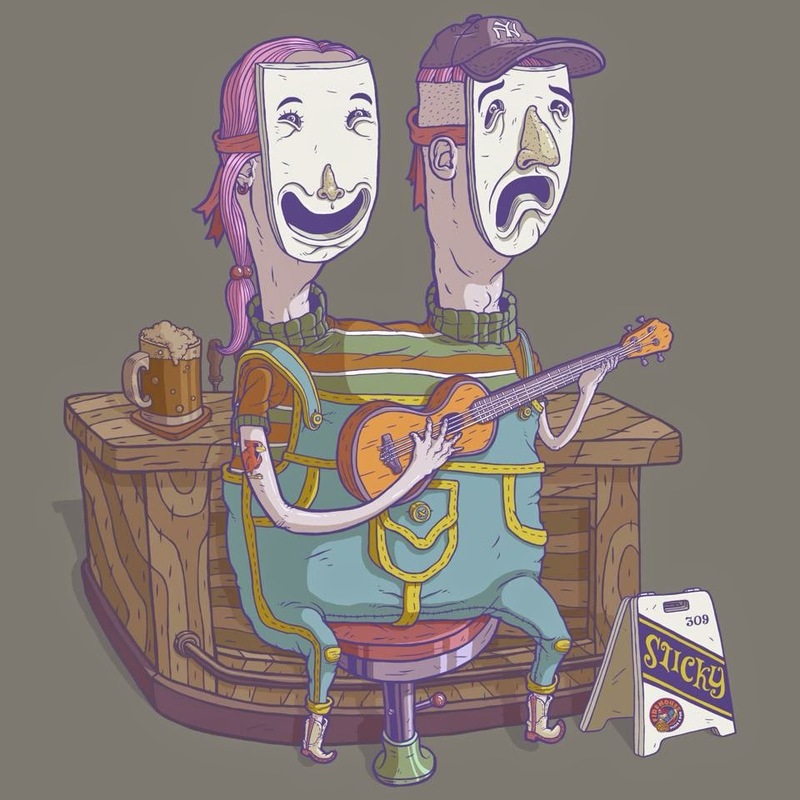 Sticky in the Sticks, the short-plays-in-a-bar phenomenon that popped up in Normal last year, is back March 20th for our post-Ides-of-March, post-St. Patty's entertainment. There's even a snake play to keep your St. Patrick's celebration going. March 20th is actually both Proposal Day and Extraterrestrial Abduction Day, although there is no info at this point indicating that Sticky organizers Connie Blick and J. Michael Grey are using either as a theme. Note to Connie and J. Michael: You may want to think about Extraterrestrial Abduction Proposals for next year because that would be awesome. These five plays are available for the small sum of $7, collected at the door. You'll find the Sticky stuff at the Firehouse Pizza and Pub, with music from an indie pop/alt band called Alex and the XOs opening the evening at 8 pm. After a set from Alex and the XOs, Sticky's plays will be up, right there at the bar. Audience members are invited to get a beverage at the bar and take a seat for the program. It's fun, it's different, it's an adult Friday night out in Uptown Normal.